What separates Hard Rock Cafe from any other restaurant? Do we collect their t-shirts to publicly brag about all the cities around the world we’ve travelled to? Is their logo a nice way to flaunt our dedication to the company’s brand, thus expressing our cosmopolitan lifestyle? If so, then what makes this phenomenon so tempting, so distinctive in comparison to others in the industry? Without further ado, we introduce the business world’s latest differentiating point – the experience. Latest not because it’s a novelty, but because companies finally understand that customer experience is no longer optional. It’s what separates today’s leaders from underachievers, and what currently defines our economy on a global scale. Here’s why experience economy is the key to modern business growth, and how to approach it. Experience economy is a direct consequence of the transformational shift in today’s customer behaviour. Consider Spotify and Airbnb, for example. Instead of buying products and services, millennial crowds are more interested in renting experiences. Personal possessions are no longer as valuable as they once were – since digital nomadism is the staple of the modern-day lifestyle, we now collect memories instead of tangible goods. Thus, our customers seek experiences, and are more than glad to pay for the most unforgettable ones. This change in both B2C and B2B dynamic is quintessential: if success is what your business is after, then you need to provide the best, most thrilling, fundamentally unique customer experience at every single touch point. Until recently, customer experience has been yet another facet of business. Today, it is its own distinctive type of economic offering. “An experience occurs when a company intentionally uses services as the stage and goods as props to engage individual customers in a way that creates a memorable event.” At the same time, it is the answer to our initial question regarding the international phenomenon that is the Hard Rock Cafe. In economic terms, a less popular establishment that sells food without an experience is defined as a “goods business”. While they charge for distinctive, tangible things, brands like Disneyland charge for the feeling customers get by engaging in it, and are therefore categorized as “experience businesses”. Hard Rock Cafe is a clever blend of both – though their goal is to sell food, they don’t do this directly. Instead, they offer a whole experience through which their goods are enjoyed to the utmost delight. Together, goods and customer experiences drastically increase a brand’s economic value. In a competitive market, experiences are perceived as a differentiating point that allows companies to stand out from the crowd. This business approach lays at the very core of “The Progression of Economic Value” model created by authors of “The Experience Economy”, Joseph Pine and James Gilmore. If you want to acquire and retain a competitive edge in a challenging market, they claim, adding economic value to your offer is the only viable course of action. Commodities, goods and services are not sufficient anymore. We’ve entered the fourth stage of the progression of economic value, in which experiences are the sole unique selling point. All this goes to show that customer experience is not the same as customer service. Though both urge us to understand our customers’ needs, the first implies building our entire business philosophies around it. Like memories, experiences are personally, emotionally, physically, intellectually and spiritually engaging. Most importantly, they are only unforgettable as long as they are created from the unique perspective of our customers. 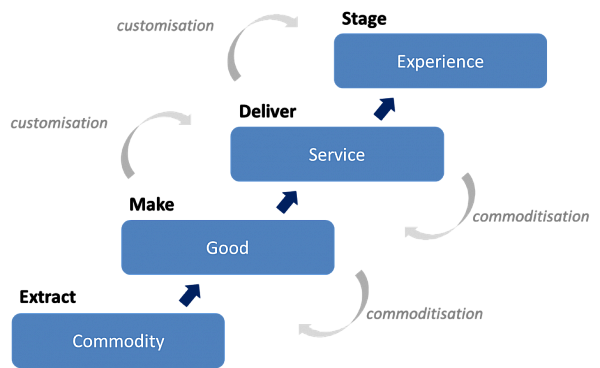 This leads us straight to the experience economy’s main demand – customer centricity. A customer-centric business is the one that puts customers first, aiming to keep them satisfied and delighted. It insists upon real-time personalization, and does so throughout the entire customer lifetime cycle, before, during and after the sale. Since they are in perfect compliance with today’s purchasing behaviour, customer-centric brands are 60% more profitable. The Harvard Business Review article cited above offers a helpful overview of different characteristics of customer experience. To make yours memorable, you need to choose a spot-on theme, harmonize impressions with positive cues and engage all five senses. Such experience relies on customer participation and connection with the event too, but how can you answer to all of these requirements if you know nothing about the receiving end? 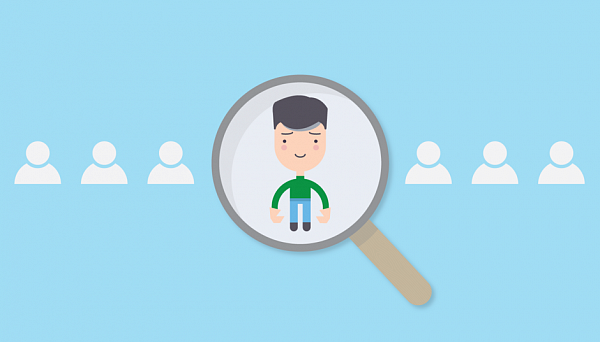 The key to becoming customer-centric therefore lies in becoming customer-savvy first. For each and every one of them, you need a full 360 degree view that reveals their unique behaviour and specific interests. 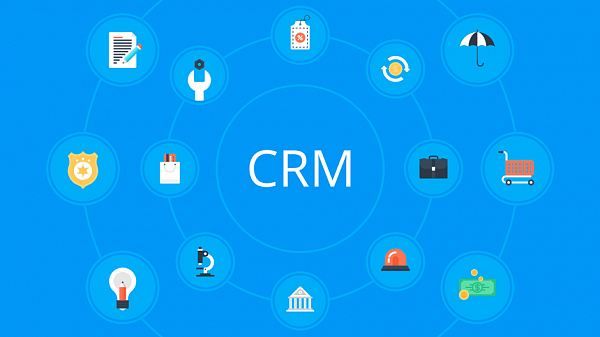 It comes down to thorough customer relationship management, and draws its input from a CRM software. After all, the experience economy goes hand in hand with the latest advancements in technology. This global shift was spurred from millennial connectivity, networking and social media. In place of individual mediums, we now have omnichanneling. Consequently, the traditional social CRM model is already replaced with its refined version, social CRM 2.0. 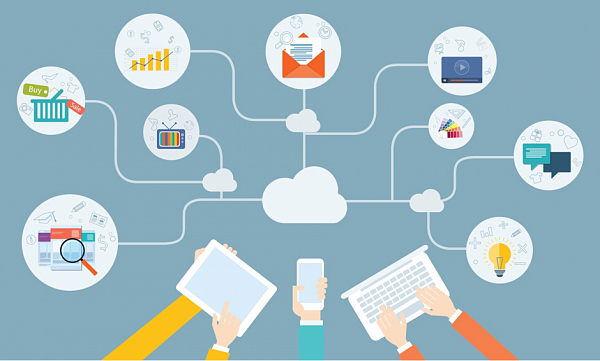 While the old CRM generation used to harvest customer data from mostly futile social prospecting, latest models serve as both communication channels and advertising media. Solutions like Bitrix24 Open Channels connect popular social networks and messaging platforms and keep them open for queuing, routing and conversation transfer, but that’s not all. If 360 degree view on the customer is what you want, then you need to know and hear absolutely everything. Currently, omnichanneling is the only way of achieving this. Social CRM 2.0 thereby automatically collects details, contacts and conversations from telephone routes, email threads, Facebook Messenger, Viber, Skype, Instagram and more. Customer-centricity also implies being able to organize and analyse CRM-gathered info, both of which is provided by state-of-the-art software tools. Once you know everything, you can give customers what they really want. That’s why, at last, effective customer relationship management is essential to becoming customer-centric. And, as long as experiences continue to head the progression of economic value, customer centricity will remain our only differentiating point. Bitrix24 is free omni-channel CRM and contact center which provides a platform to organize and track interaction with potential or existing clients, partners, agents and other contacts. Use promo code TIP10 when registering your free Bitrix24 account to get extra 10GB.